Due to the extreme weather in the Pittsburgh area, we are currently experiencing a city-wide outage of all broadband and telephone services. This service interruption is due to an issue our fiber vendor is having on their network. Since the problem is upstream of the Green Light Wireless network there’s nothing we can do to be proactive about resolving the matter ourselves. We have been informed that we can expect service to be restored by 9:00AM on Thursday, January 31, 2019. We regret any inconvenience this may cause. For real time updates on network status, subscribe to our Network Status twitter feed at @GLWnetstat. Green Light Wireless will be upgrading our Oakland tower beginning on Monday, November 26, 2018 and extending to Wednesday, November 28, 2018. Our Oakland tower is one of our oldest towers and is due for some major upgrades, bringing gigabit technology and IPv6 to our Oakland and surrounding markets. 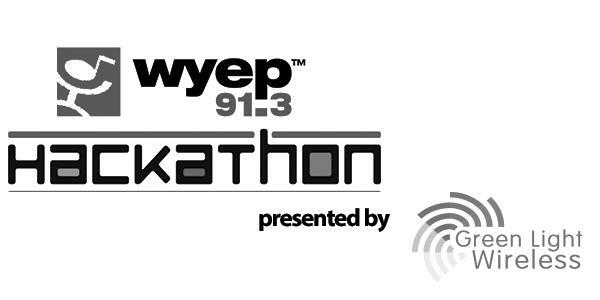 Green Light Wireless is happy to sponsor the next WYEP Hackathon on November 3, 2018. This event brings together programmers, designers, and technologists to collaborate on web and mobile software for that relates to local music and local stories. This is the second time that we have sponsored the WYEP Hackathon. Green Light Wireless is committed to being a better, local, Internet service provider for Pittsburgh. We are proud to support Pittsburgh’s developers and designers in their work innovative technologies to improve the Pittsburgh region. The WYEP Hackathon is free to attend, but space is limited. Click here for online registration. Green Light Wireless improves Wi-Fi access at all Coffee Tree Roasters locations! If you have used the Wi-Fi at any of the Coffee Tree Roasters locations you have likely seen our logo on the screen when you’ve logged into the Wi-Fi. Starting today, you no longer need to login to access the wireless network. No more login screen and no time limit! Just select the Green Light Wireless network and go! 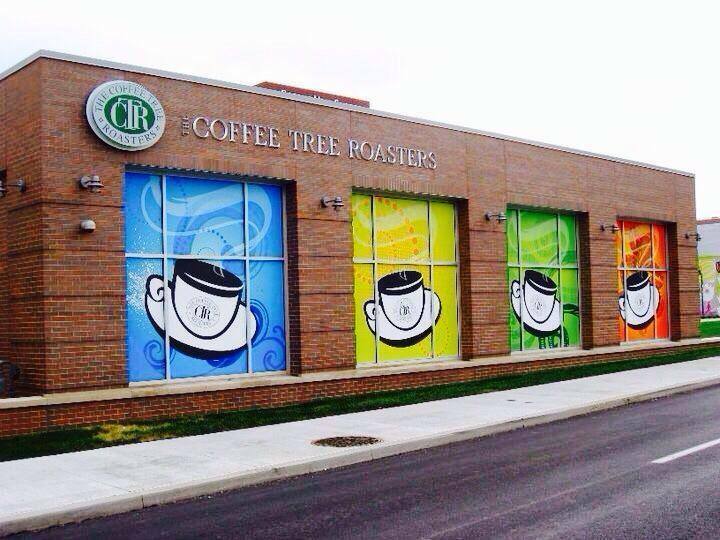 We are pleased to partner with Coffee Tree Roasters to improve your browsing experience. Squirrel Hill, 5840 Forbes Ave.
Mt. Lebanon, 299 Beverly Rd. Pleasant Hills, 10 Old Clairton Rd. Green Light Wireless installs a wide-area computer network giving Wi-Fi access to staff and guests at ROS facilities. Created by Congress in 1996, the Rivers of Steel National Heritage Area is committed to preserving, interpreting, and managing the historic, cultural, and natural resources related to Big Steel and its related industries. Encompassing over 5,000 square miles in the eight counties of Allegheny, Armstrong, Beaver, Butler, Greene, Fayette, Washington, and Westmoreland, Rivers of Steel is building on this area’s remarkable transition from heavy industry to high technology and diversified services as well as bolstering the new regional economy by promoting tourism and economic development based on this region’s historic industrial saga. 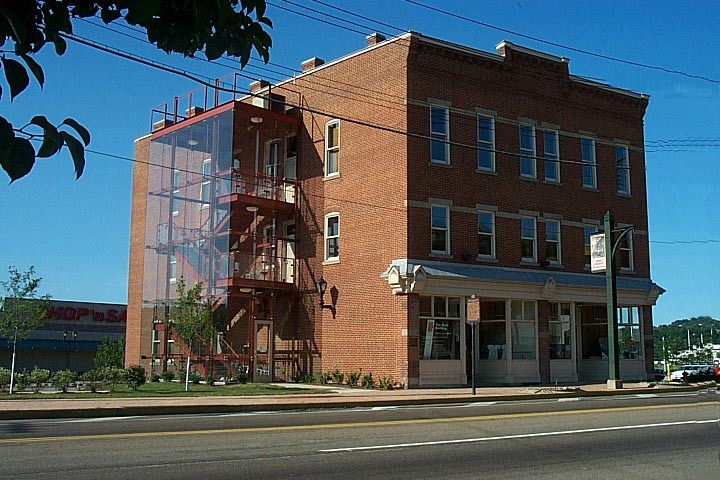 The Rivers of Steel organization, headquartered in the Bost Building in Homestead, wanted access to their network while on site at the Carrie Furnace (Rankin) and the Pump House (The Waterfront). Basic Internet service would provide an answer to their administrative network needs, reliable access to the Internet for events on site, and a backbone for increased security monitoring. Because many of their remote sites are “off the grid,” setting up a traditional Internet connection would have been costly and inconvenient for the non-profit organization. Green Light Wireless installed private Point to Multi-Point (P2MP) wireless network infrastructure that links each of the facilities to the Bost Building’s administrative computer network. All three sites now share connectivity through the Bost Building’s administrative network, allowing for the use of printers, servers, and file sharing between the three sites and remote security monitoring. Without adding additional Internet connectivity, Rivers of Steel needed to provide network access to the remote sites so that staff can access network servers and email, process payments for tours, and manage security from any of the three connected buildings. The Point to Multi-Point wireless network infrastructure would have to carry the encrypted network connection across the Monongahela River, avoiding interferences from the buildings and bridges that stand between the two, without losing signal quality or reliability. Green Light Wireless installed the P2MP on the rooftop of the Bost building to beam the signal to the Carrie Furnaces and then back across the river to the Pump House, using equipment that requires very little electricity, as the sites are limited to solar-power. According to Jeffrey T. Leber, Vice President and COO of Rivers of Steel, the service has functioned exactly as intended. It is reliable throughout the Carrie Furnaces space, a tricky feat given the many “nooks and crannies” where the signal could become weak. The staff use network services regularly for back-office type needs and accessing administrative information remotely. The service has also streamlined the processes for tour staff, as they used to depend on potentially unreliable “hot spots” purchased from their ISP for admission and gift shop purchases at the sites. The Rivers of Steel National Heritage Area, encompassing seven counties in western Pennsylvania, embraces our region’s heritage through the preservation of key historic places from Pittsburgh’s industrial past. If you’d like to know more about the organization, plan a tour, or make a donation, visit www.riversofsteel.com. Are you paying to access only part of the Internet? As you’ve likely heard, the FCC has rolled back government oversight preventing Internet Service Providers (ISPs) from prioritizing traffic on their networks. This could mean that sites that don’t pay ISPs for priority service could be the victim of bandwidth throttling. At Green Light Wireless, we don’t think think this is right; our customers pay for access to the entire Internet and that’s what we provide. Since we’re a small, local company, we value many of the same things that our customers hold dear – including fair play. To be clear, Green Light Wireless is and always has been committed to treating every web destinations equally; handling every packet on our network the same. After all, you don’t only pay to access some websites, you pay for access to the entire Internet. That’s been the case since the beginning and will not change. We do not collect or store your network traffic, and therefore have no data to sell to advertising agencies. We are part of your community and pride ourselves in being a company you can be proud to support! As a private business, we fully control our entire distribution network. We own every piece of equipment responsible for delivering the Internet to your home and do not rely on any subcontractors to manage our network for us. Green Light Wireless was formed with the intention of being an Internet service provider that people enjoy working with. In short, we strive to be the company “the others aren’t”. Call us today to see how we’re better! You’re in a Green Light district! Our network is bigger than ever, are you with us? Many people have been following the progress of our newest tower, which just about doubles the coverage area of our broadband network. If you haven’t heard yet – we’re ready for you! We just wanted to send along a quick note reminding you how great our service is and to urge you to call and schedule your broadband installation today. The sooner you call the sooner you’ll be online with Pittsburgh’s premiere Internet service provider. With our latest expansion, our footprint is larger than ever. This map is a representation of our coverage area so give us a call to check your specific address.